Composer. Nationality: British. Born: John Barry Prendergast in York, 3 November 1933. Education: Studied with Francis Jackson and Joseph William Russo. Military Service: Played in military band during military service. Family: Married 1) the actress Jane Birkin (divorced); 2) Laurie Barry. Career: Rock 'n' roll trumpeter, and composer-arranger-conductor for John Dankworth, Jack Parnell, and other bands; organized his own group, The John Barry Seven; 1960—score for first film, Beat Girl ; has also written stage musicals and music for TV, including the mini-series Eleanor and Franklin , 1976. Awards: Academy Award, for Born Free (and the song "Born Free"), 1966, The Lion in Winter , 1968, Out of Africa , 1985, and Dances with Wolves , 1990; British Academy Award, for The Lion in Winter , 1968. Agent: ICM, 8899 Beverly Boulevard, Hollywood, CA 90048, U.S.A.
International Filmusic Journal , nos. 1, 2, and 3, 1979–80. Segnocinema (Vicenza), vol. 6, no. 25, November 1986. Films in Review (New York), October 1967. Focus on Film (London), Winter 1970. Films in Review (New York), April 1971. Monthly Film Bulletin (London), October 1971. Monthly Film Bulletin (London), August 1972. Dirigido por . . . (Barcelona), July/August 1974. Focus on Film (London), Winter 1975–76. Fistful of Soundtracks (London), May 1981. Film Score Monthly (Los Angeles), April 1996. Film Score Monthly (Los Angeles), October 1996. Film Score Monthly (Los Angeles), November 1996. Billboard, v. 109, no. 41, 11 October 1997. Billboard , v. 111, no. 27, 3 July 1999. John Barry is one of cinema's most prolific and well-known composers. Europe has long provided the American movie industry with many of its leading musical artists, but no Englishman has ever equaled Barry's breadth of accomplishment and commercial success. Although movie music increasingly consists of collections of unrelated pop songs selected mainly for their ability to sell records, Barry's skills are still in demand among those who value dramatic and musical integration. Best known for his compositions for the James Bond films, Barry has in fact displayed an extraordinary versatility throughout his career. Jazz instrumentals, medieval music, blues motifs, rock variations, French ballads, and evocations of the Orient have all been featured in his work. He composes orchestral and solo textures with equal facility, and is as much at home with electronically generated sound as with that produced by acoustic instruments. Although he has been criticized for an excess of lushness, his professionalism, his competence in a diversity of idioms, and his keen understanding of the cinematic relevance of music have earned him wide respect. By the time he entered the film industry, Barry was already acquainted with a wide range of musical genres. The son of a cinema-chain owner, he gravitated toward movies by way of a classical music training at an English cathedral, playing trumpet in an army band, arranging for several of Britain's top jazz orchestras, and leading the brass-laden rock 'n' roll group The John Barry Seven. After writing his first film score for the youth-oriented melodrama, Beat Girl , Barry was asked to arrange and direct Monty Norman's lively James Bond theme for Dr. No , the first of the 007 films. Norman has always received credit for the composition, with its plunking guitar and insistent brass, but Barry's input helped to make it one of the 1960's most recognizable signature tunes in any medium. Barry has since written most of the scores and about half the title songs for the Bond series. While all of these have achieved an effective synthesis of music and image, Barry's work for Goldfinger is perhaps the most exciting. Although the compositions have varied in musical quality, they have always been integral to the films' identity—as much a part of the total package as the arresting title sequences and 007 himself. Barry's distinctive use of brass has added urgency to the action sequences, and his use of lush strings and woodwind melodies have enhanced the more romantic interludes. While he has been required to generate chart-busting title songs for the Bond films, he has always created thematic unity between the main number and the score as a whole. Barry's work includes music which functions mainly to establish mood or signal changes of emotional pace. His unobtrusive score for Jagged Edge is a typical example. Yet he rejects the idea that film music must always be an appendage to the visual image, faithfully reflecting the events depicted on screen. His philosophy is that "a film score should burn with its own fire, not merely glow in the dark like a pretty charcoal." While insisting that score and narrative should be in harmony, Barry believes that music can add dramatic dimension, either by augmenting expressed emotions and attitudes, or by communicating information not contained in the images or script. His sweeping pastorales for Out of Africa , for example, gave heightened expression to the protagonists' love for their adopted country, as well as for each other. In The Lion in Winter , choral fugues, sung in Latin, are used to establish the largely unarticulated influence of the Catholic Church on England's Henry II. 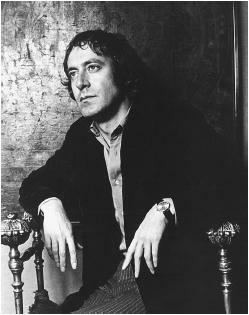 As musical supervisor on Midnight Cowboy , he and director John Schlesinger used Fred Neil's up-tempo song "Everybody's Talkin"' to supply much of the film's initial pace and meaning. Barry also employs musical understatement for dramatic effect. The emotional impact of the sober prison-camp drama King Rat owed much to Barry's delicate instrumentation. Many of Barry's most lasting contributions to film music have been composed in a romantic vein. His love themes for Robin and Marian , his title song for Moonraker , and the gentle ballad sung by Louis Armstrong in On Her Majesty's Secret Service exemplify his skill at using music to call forth an affective response in the audience. Indeed, his score for Somewhere in Time was not only more memorable than the film, but was more effective than either script or acting in establishing the movie's romantic resonance. Although such compositions do not satisfy every taste—some critics describe them as "soupy"—they are seldom inappropriate. While Barry can scarcely be accused of a formulaic approach to film scoring, it is possible to identify certain trademarks in his music. Extensive use of flutes, horns, and strings, sustained low brass notes ("brass pedals"), and endless reworking of a single theme, serve to distinguish his work from that of his contemporaries. Although he may not always satisfy the aesthetic sensibilities of film-music critics, Barry has done more than most to keep alive the public's appreciation of movie scoring. In an era in which commercial pressure has eroded the relationship between music and film, this is a significant achievement.